The Swiftcurrent Nature Trail is a nice, level trail that starts on the Grinnell Glacier Trail and then follows the shoreline. Traveling counter-clockwise, you will be walking in a cool forest that pops in and out with views of the lake, the hotel and Allen Mountain towering above. Stay along the shores of Swiftcurrent Lake when the trail breaks off to Lake Josephine by the boat dock and loop back along the south and east shores of the lake to the Many Glacier Hotel. From the hotel, the trail wanders along the north shore of Swiftcurrent Lake back to the Grinnell Glacier trailhead. 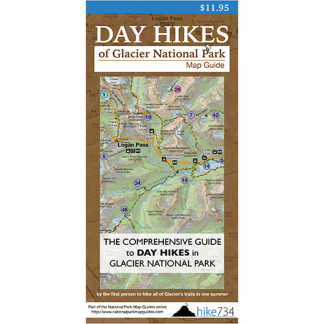 Trailhead: Follow the Many Glacier Road until you see the signs for the Grinnell Glacier Trail, with which it shares a parking lot. You can also start and end at the Many Glacier Hotel.